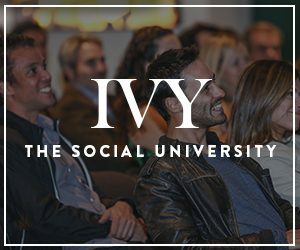 IVY Members joined us with six-time Grammy-nominated DJ, singer, songwriter, and producer Kaskade as we learned about The Future of Music & How to Command a Global Audience, in partnership with Zola. Part of a four-event series in which IVY and Zola have partnered to highlight entrepreneurs who are trailblazers for their industries, Kaskade shared how he grew into an iconic music producer and the tools needed to captivate audiences around the world — both on and off the Billboard Hot 100 Chart. Kaskade is the stage name of record producer and remixer Ryan Raddon, who rose to prominence during the revival of American progressive house in late 2008-early 2009. His recent full-length album, Automatic, claimed the #2 spot on the Billboard Dance / Electronic Albums Chart and amassed over 50 million streams on Spotify in less than a year’s time. Overall, Kaskade has released nine studio albums, created remixes for everyone from Lady Gaga to Beyoncé, and performed between hundreds of headlining shows a year for ten years running. To connect with Kaskade’s latest release, REDUX EP 002, click here.